I’ve learned some valuable lessons over the past twenty-four hours. First: I was nominated for not one, but two blogger awards. I was surprised. I was pleased. I was secretly pretty chuffed ( and English phrase which really means you are pretty darned pleased with yourself and life in general, at least I think so. It’s been a long time since I heard it let alone use it. You get my drift anyway. Second: I had to write seven things about myself. Now I like to talk, have a little to say and usually that’s all to the good. That is until need I need to write about myself. I never know what to say or where to start – the mind goes blank. It’s just not the done thing to blow one’s own trumpet. Yes, I realise in this day and age when Resumes and Curriculum Vitae are all about promoting oneself you need to get used to this, but it is still a little foreign to me. Third: I needed to choose 15 people to nominate for said awards. This is actually harder than it sounds because who is more deserving than someone else when each blog is individual and I get a huge amount of satisfaction from so many. Eventually that was done. Fourth: I’m having a horrendous brain fog week due to meds for the Lyme disease. No complaints, it’s just an annoying , irritating, rip snorting pain in the keester, and the head! So I thought I’d be clever. I chose my 15 blogs, got the links to them and decided I would notify them first because the actual blog I needed to do was fairly simple. Humpf! Fifth: If you are having trouble getting your links to work it is not an easy job to do numbers 1 to 4. At present I am, they don’t seem to want to work at all. Instead of a pretty blue link which lets you know you have it right, I get an underlined item which you pray will work as it should. The alternate was the short link which will change colour, if you are lucky, when you post your comment. Sixth: Now I’m having trouble posting comments. Error message reads ‘You cannot post comment”. Exit out of said post, back to the beginning and start again, keeping everything crossed it’s possible to and still type. Sometimes it only takes a second try but I did reach six attempts on one….. please don’t ask I have no idea what was happening. Apart from my blood pressure boiling. Seventh: Take a break Susan and start again, breath, calm, focus, and all is well in my world. Light bulb moment hits. Write the blog, it will only take a few minutes. Now I know there is a page, somewhere, I’m certain there is, with different award pictures you can use. Can’t locate it. Can’t get the info to copy the ones I have on my screen. Need to log out of WP and log back in, session has expired. I’m expiring! Back in and we’re off. Blood pressure rising again. Eighth: Ok, my crazy link thing is still playing up. I have the blog addresses but do they work? I think so, I hope so. Save as a draft til later. No, schedule it for publishing and it’s over and done with, I can’t worry about it then. Ninth: My first notification that the link I supplied isn’t working. Now I know I should have published before sending the notifications out. Too late, I have to keep my fingers crossed and hope someone is watching over me. Ten: The blog awards are great (for the ego and to say thanks) but it is far easier to write a blog than receive one and nominate others…. I know I’m going astray here but my fugue just wont let me work it out. No, I don’t think I’m lazy. So to all those I’ve nominated, apologies if the link doesn’t work. Hopefully my blog will make up for it. You are all listed there for posterity and my thanks are genuine. I also hope this explains the trials and tribulations when someone hasn’t yet learned their way around a site before they start to do something. Another lesson I suppose. Have a beautiful weekend everyone….. next week should be better. Fingers crossed. 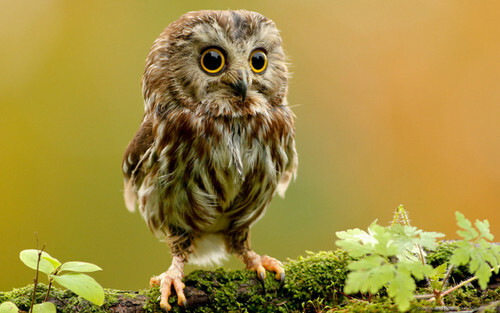 OK – the Owls are “Wise Old Birds” and I’m channeling a little wisdom for later. Can you blame me?! Apart from that, have you ever seen that golden glow behind a bird in flight before, that is pure magic! Poor Darling, I have watched your frustration and felt absolutely helpless to do anything to assist! If it was an engine, I could fix it. A fence I could mend it. If it was pretty much anything else, I could do something with it, but when you get to internet stuff, well, I’m away with the pixels! Congrats on getting it out there, it looks like it worked and the blog is great also – again! Thank you. I wasn’t complaining, more an observation on what was happening – the difference between the creative process and the mechanical process of “paying it forward”. It was a strange feeling, but rewarding.